There are a number of quotes from our favorite television shows that we can return to, inviting a flood of memories back about the episode and what we were doing in our day when we heard the words. 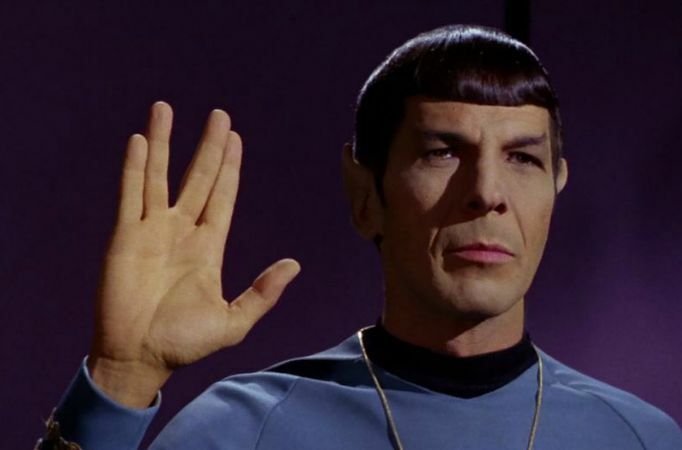 Few shows have grown beyond that, but Star Trek is definitely one of them. Rather than having to stop and explain a scene to your friends or coworkers, it’s easy to let one of these popular phrases fly and get a response from nearly any audience. Even those who don’t consider Star Trek a part of their lives will recognize some of them. Perhaps that is why Trek had such an amazing following throughout the years. It wasn’t just the progressive attitudes and the willingness to delve into the unknown both in the show’s reality, and in our own psyche, but the manner in which the words resonated through multiple generations. And that, of course, brings us to our poll of the week. What is your favorite famous Trek saying? Let us know if it’s one of those we love, or if you have your own, and don’t forget to join the conversation and tell us when you put your favorite phrase to work in the discussion that follows.